Even Empress Elisabeth (Sissi) of Austria and British Prime Minister Churchill swung their golf clubs at this location. A 9-hole golf course with alpine character now graces this area at 1,600 m altitude. 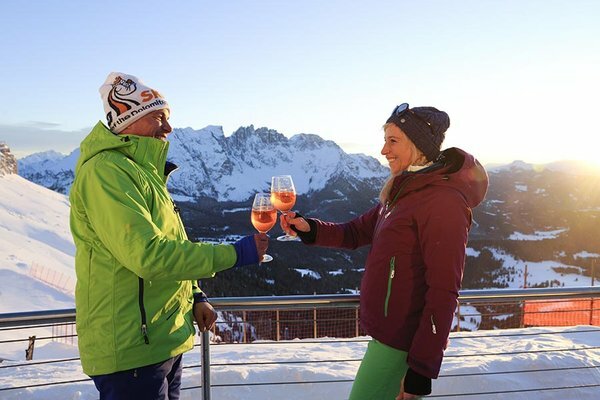 The tee off at hole 5 will forever stay in your memory as you swing the golf ball into the flaming red of a magnificent sunset at the foot of the Rosengarten. Competitive highlight of the year is the "Alpine Iron Man" contest in June, which involves 54 holes and lasts approximately 12 hours. This nonstop golf tournament is enormously challenging for anybody's concentration and endurance.